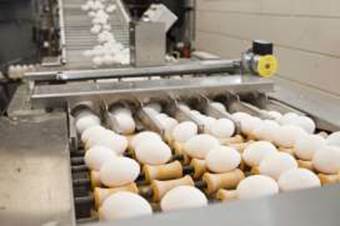 Consumer demand for eggs in the US continued its impressive growth in 2014, the American Egg Board has reported. "USDA reports that per capita egg consumption grew to 260.7 in 2014, which is the highest in 30 years, and marks the fifth consecutive year that egg consumption has increased," the International Egg Commission president and CEO, Joanne Ivy, confirmed. According to Nielsen, retail egg category sales grew an incredible 11% or $550 million in 2014 to $5.5 billion. Unit volume sales (equivalized dozens) was up 2%, growing by 54 million dozens vs. 2013. The average price for a dozen eggs averaged $2.11 in 2014, up 17 cents from the previous year. Despite the higher retail prices, which typically dampen consumer demand, unit volume increased. In fact, the growth rate for egg sales in both dollars and units were double that of 2013. The American Egg Board (AEB) has an extraordinary team and their work has had a huge effect on increasing egg and egg product consumption and demand. The Egg Product and Consumer Marketing teams, along with the strong program of the Egg Nutrition Center, have made major gains with the egg producers' investment into AEB. All of AEB's programs are recognised for being exceptional generating incredible results. AEB's award-winning marketing efforts, including our "Wake up to Eggs" advertising, public relations, social media and retail promotional efforts, also played an important role in this success.